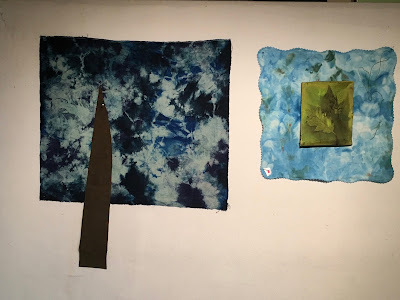 Besides the fun and learning experience of creating one's own fabric, for me there's that challenge to develop wall art from the diverse materials. That may take some 'marinating'.....as several combinations stare back at me from the design wall. Eventually one speaks louder than the other and the designing begins. 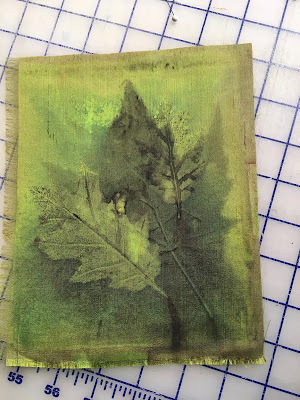 The images on this 6" x 8" piece of silk derive from processing a couple of leaves, secured between thin sheets of wood, simmered in vinegar water for 2 hours. 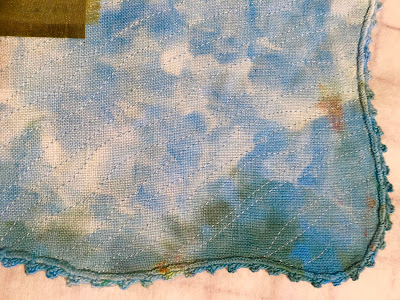 The base of the wall art is a vintage linen napkin. A gift from my good friend Kate which I transformed by ice-dyeing. 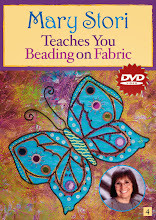 Because the material was naturally fairly flimsy, it was machine stitched to a light weight non-fusible stabilizer. 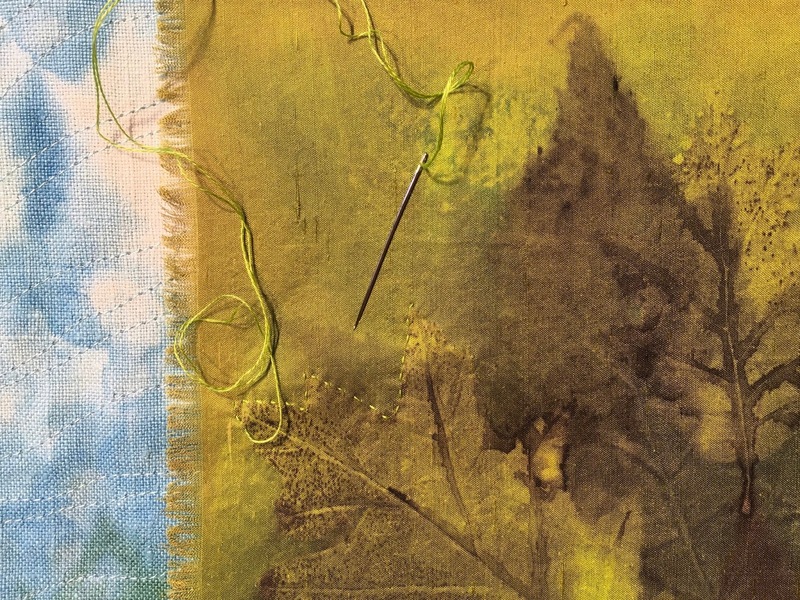 The eco-printed silk was secured to the linen and some hand embroidery has begun to help highlight a couple of the leaf prints. Well, guess I cheated! Saw this on FB! It's amazing!!! Love it! LET IT SNOW, LET IT SNOW?? ?